such as the beam, ship, corridor ,passageway ,stairway ,warehouse and Other fields. 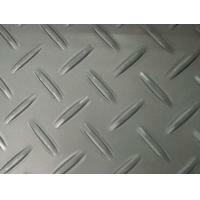 Thick Checker steel plate can be customized. Any forms all can be processed by your drawings. 4. We accept the third part inspection, such as SGS inspection. Packaging when each plate weight is under 1 ton, it will be in bundle with steel strips 2-4, when each plate weight is over 1ton, it will be piece by piece.